After an accident, victims need immediate medical attention. Broken bones must be set, burns must be treated, and internal organ damage often requires surgery. Someone must pay for this initial medical treatment, and that entity is usually your insurance company. Many residents of Florida are on Medicare, which provides health insurance for those aged 65 and older. The good news is that Medicare will help pay for medical care to treat your injuries. 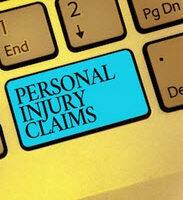 As a result, however, you will need to reimburse Medicare once you receive your personal injury settlement. As soon as possible, you should call Medicare and tell them that you were involved in an accident. They will assign a Coordinator of Benefits (COB) to your case who will monitor the amount of treatment you receive. Some people are tempted not to report their accident to Medicare. However, the agency will certainly find out anyway. Remember, they will see your bills from the doctor or hospital. And they will figure out that you are receiving treatment for injuries sustained in an accident. If you lie to Medicare or fail to report, then you could get into trouble. Your COB will probably want regular updates about your medical condition and your claim against whoever injured you. One advantage of working with Bundza & Rodriguez is that we can handle the communications for you. This can free you up to focus on your recovery. However, it is important to keep Medicare fully informed of the status of your case. Once you receive a settlement or win a jury verdict, you must notify Medicare. Medicare will send you a demand letter outlining the expenses they want you to reimburse. With your attorney, you can go over these expenses to make sure they are legitimate. Medicare is not interested in negotiating with you, though you might be able to challenge some of the expenses. For example, you might have received treatment for a condition totally unrelated to your accident. If so, then you should not have to reimburse Medicare for that, and the agency should remove it from the list of expenses. Your attorney cannot release your settlement to you until everything is squared away with Medicare, since they have a lien over your settlement proceeds. If you want to appeal the amount Medicare is demanding, then there is an internal appeals process. You will need to discuss with your lawyer whether you have a valid reason for appealing, otherwise you are simply delaying the receipt of your settlement proceeds. Terrible car accidents, slip and falls, and dog bites leave our clients in tremendous pain and with mounting medical bills. Fortunately, insurance often steps in to cover the costs of treatment. At Bundza & Rodriguez, our Volusia County personal injury attorneys know how to work with medical insurers to reimburse them for medical treatment. Whether you are a Medicare beneficiary or have private insurance, we can help. Contact us today for a free, confidential consultation, by calling 386-252-5170.